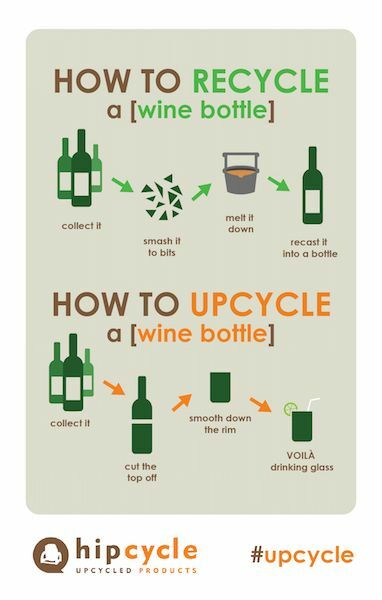 I usually hear a lot of these terms : upcycling – recycling. Sometimes both of these words are being used as if they both had the same meaning, but I guess there might be a difference right? Recycle is the process to change items considered as waste into new products to prevent waste of potentially useful materials and reduce the consumption of fresh raw materials, whereas upcycling is the process of converting old or discarded materials into something useful and often beautiful. When you upcycle you are giving an item a new purpose, encouraging people to think of new and innovative ways to use things, instead of simply buying new consumer goods. It also benefits the environment, by promoting reuse over discarding whenever possible.